President Hassan Rouhani says the United States has been seeking to push Iran aside and take the matters of this region in its own hands, but its attempts to undermine the Islamic Republic’s regional role will certainly fail. 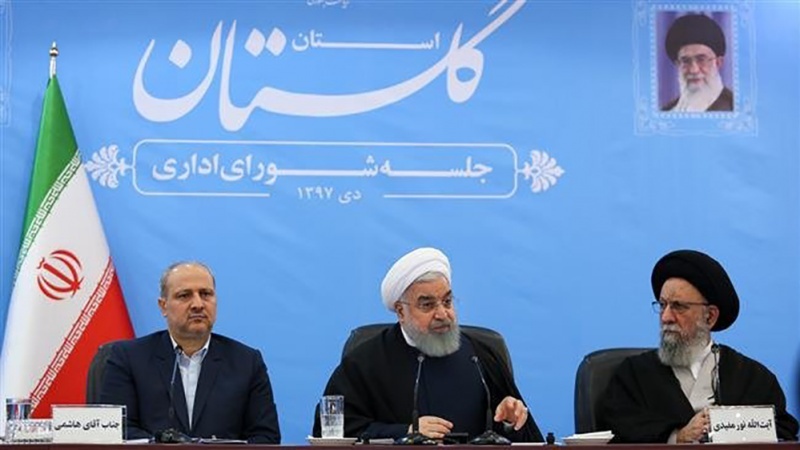 Speaking at a meeting of the administrative council of northern Golestan Province on Tuesday, Rouhani said the US has been trying to prevent the Islamic Republic from acting as a “frontrunner” and an influential player in the region. The Iranian president said, among the other American goals was detaching the Iranian people from the Islamic establishment in Iran. The US will likewise fail in this attempt because the Iranian people will continue on the path of the Islamic Revolution, Hassan Rouhani added.